It was October 29th, 1998, when a very special, very old book was sold to an anonymous collector for $2,000,000 at Christie's auction house in New York. The Archimedes Palimpsest, as this book is called, has true claims to greatness: it is the earliest surviving Archimedes manuscript. Anyway, a long time ago, when I was in high school, one of my friends stated, "when I grow up, I am going to be a paper conservator." I remember thinking I had only the vaguest idea what she was talking about. You see, the anonymous collector had entrusted her with the task of restoring the Palimpsest. It took her 12 years. You can watch a video about her work here. In fact, there is an entire website devoted to the book. How often do people accomplish exactly what they set out to do? How often do we thank Tim Berners-Lee for inventing the Internet? How often do we have the opportunity to see a treasure like the Palimpsest from an up close and personal perspective? So what would it look like if craigslist had a face lift and Botox? 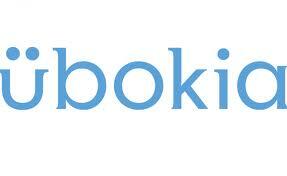 Übokia's tag line is "Get anything you want on your terms." As an example, say you are looking for a green 2008 Jeep Wrangler with less than 20,000 miles, and within 50 miles of your location. Instead of making you search for it, Übokia lets you post what you’re looking for, then wait for the sellers to come to you. Plus, the service is completely free. Übokia's interface is clean, and simple to use. Do you ever feel like your faith in humanity needs to be restored? When that happens to me, I go to the Nobelprize.org website. 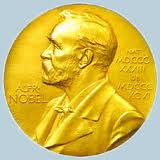 We all know that Nobel Prizes are among the most prestigious in the world. And thanks to the Internet, we can now listen, watch and learn from winners past and present. It's like watching a TED talk on steroids. 1. Faulkner's Nobel Prize in Literature Acceptance Speech. One of my all time favorite quotes, "I believe that man will not merely endure: he will prevail. He is immortal, not because he alone among creatures has an inexhaustible voice, but because he has a soul, a spirit capable of compassion and sacrifice and endurance," is from William Faulkner's Nobel acceptance speech. How great would it be to listen to him give that speech? You can do it right now. 2. Aung San Suu Kyi's Nobel Lecture. In 1991, Burmese Aung San Suu Kyi was under house arrest and unable to collect the Nobel Peace Prize, awarded for her non-violent struggle for democracy and human rights. On 16 June, 2012, she finally delivered her amazing Nobel Lecture (a requirement for all winners) in Oslo, Norway. In addition to being privy to her speech, you get to see the spectacularly beautiful hall where the lecture is delivered. 3. Interview with John Nash. All Nobel Prize winners are interviewed. John Nash was awarded the Nobel Prize in Economics in 1994. Many people know about him through the Oscar winning motion picture "A Beautiful Mind." In this 2004 interview, Nash talks about the impact the Prize had on his life, his talent for mathematics as a child, the work that gave him the Prize, talks about important economic issues of today, and shares his thoughts about the movie on his life. In 1895, Alfred Nobel endowed the Prizes in his will, instructing that they be given to those "who have conferred the greatest benefit on mankind." 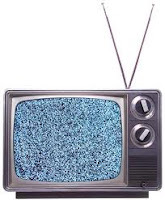 In a previous blog post, I wrote, "My memory of what my life was like pre-Internet is rapidly fading." Part of remembering the past is sensory. It is remembering not only events, but smells, sounds and sights. One scientist wanders around our national parks, collecting continuous acoustic data documenting an intangible, invisible and - increasingly - endangered resource: natural sound. As change accelerates, even the sensory memory of our recent mechanical and electronic past is receding rapidly. It is an amazing experience to click on some of these sounds. Quick - can you remember what Tetris sounded like on a first generation GAMEBOY? I can't, but as soon as I click on the picture, it's like hearing from an old friend. The museum hopes to complete its initial data collection phase by the year 2015. Recently, I came across a fabulous article offering tips on how to improve online privacy. 1. Be careful on social networks. Almost everything you say and do on social networks is public by default. Post with caution or a pseudonym. Facebook has dozens of privacy settings, so start with the biggest ones: turn OFF tag suggestions, turn ON tag and profile review, disable access to apps you don’t use or trust, and only share with friends. If you’re sharing with friends of friends, more than 150,000 people on average can see your info. 2. Use your browser’s private browsing mode. Private browsing mode stops other people who have access to your computer from knowing which sites you’ve visited. Cookies are automatically deleted when you close your window, and your history of web sites visited, passwords, autofills, searches, and downloads isn’t saved. Enable private browsing mode in your browser’s preferences. It’s called Incognito Mode in Chrome, Private Browsing in Safari, InPrivate in Internet Explorer, and Private Browsing in Firefox. 3. Use secure browsing (HTTPS) whenever possible. HTTPS prevents others from snooping on your wireless connection. It’s particularly useful when you’re using insecure wireless connections, like those in cafes or airports. 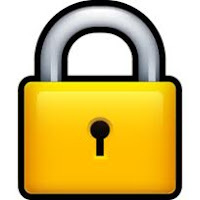 You’ll know that a site is secure and using HTTPS when you see a lock icon next to the URL of the site you’re visiting. 4. Use multiple email addresses. Have a different email for each of the following areas of your life: people you trust, signups for online accounts, signups for offline accounts, legal, work, & acquaintances (or any other category you’d like to create). That way, one email getting hacked or compromised won’t affect the others. 5. Google yourself regularly. Search for all variations of your name and contact info to find out if your personal info is publicly available online. Information about you can also show up in more than a dozen of Google’s other search services, such as Images, Videos, Blogs, Groups, News, and Realtime (which monitors social network mentions). 6. Think before posting under your real name. Whether you’re posting in a forum, social network, news article, or online group, there’s a good chance your comment will persist forever. If you decide to post something under your real name, ask yourself the New York Times question: “If this content were ever publicly released, would I be okay with seeing it on the cover of the New York Times?” If the answer is “no,” use a pseudonym.